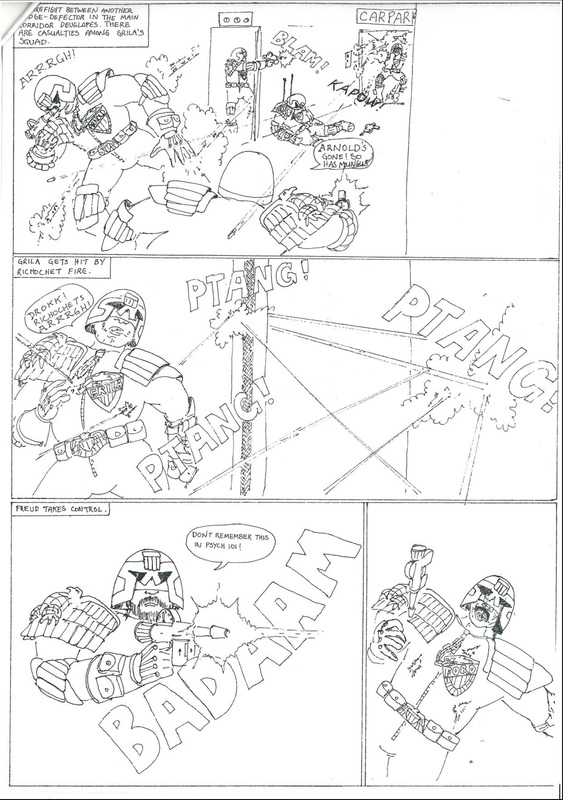 Judge Dredd Roleplay – Final Page. 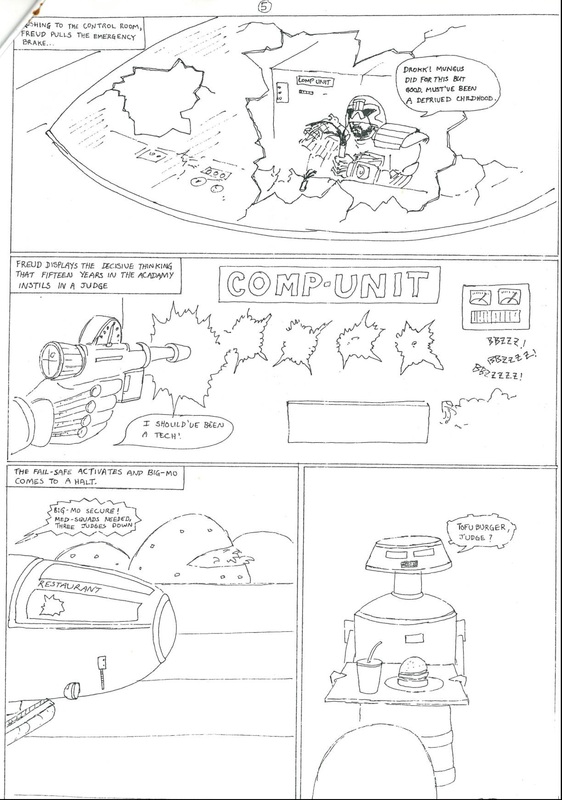 Last page. I thought there was another page – what happens when you last looked at something over twenty five years ago. 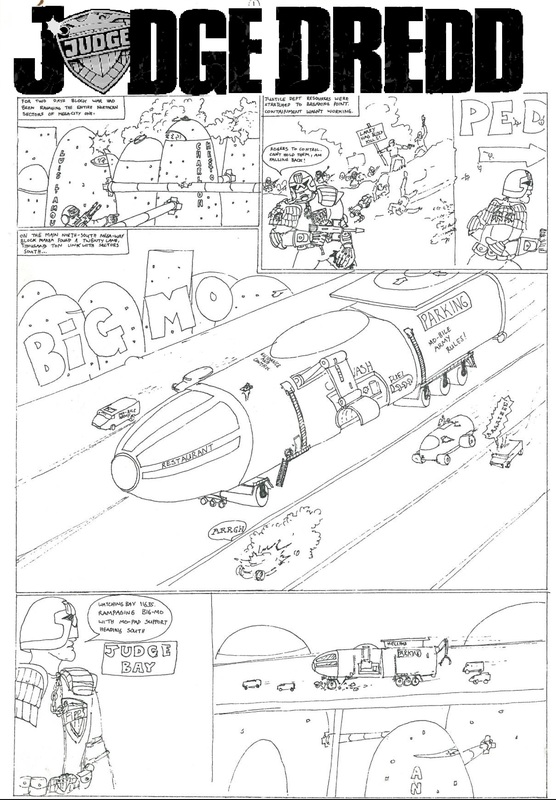 Part two scanned and cleaned up. 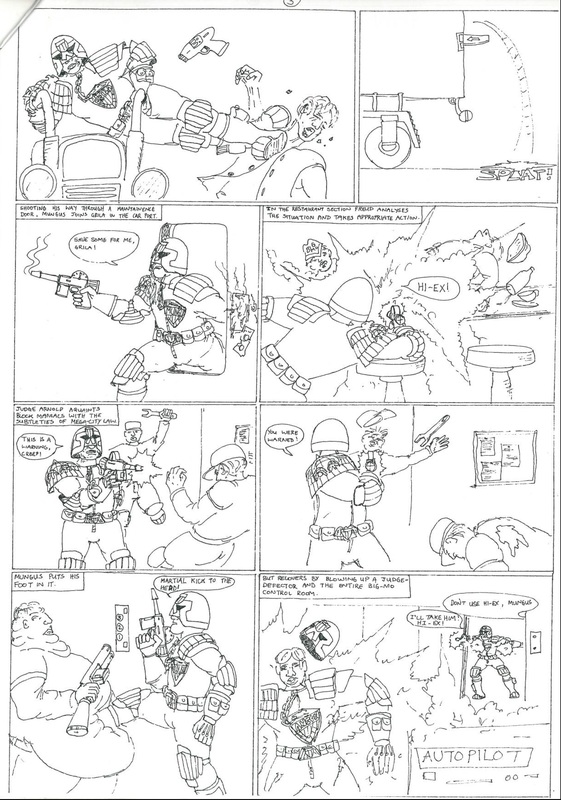 Many years ago in the 80s I used to run a fairly regular Judge Dredd RPG game. 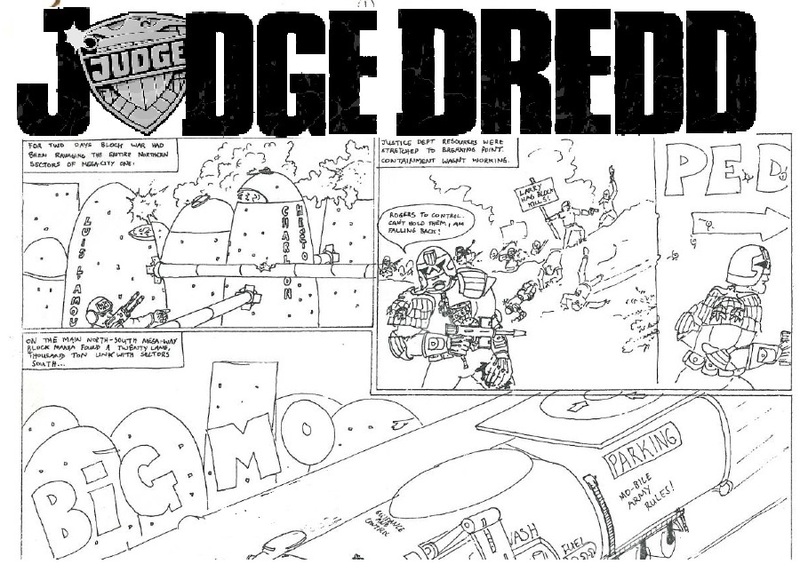 We started using Champions (now Hero System) and then I moved to the Games Workshop Judge Dredd RPG for a while. I eventually moved back to Champions as it suited the comic-book style that the game demanded. All my games were set in and around the Block War and Apocalypse War story arcs that were running in the comics in the 80s. We had some great characters. Judge Grila, a hulk in the Dredd style. Med-Judge Schweitzer, always finicky about hygiene, Tech-Judge Boffin, Judge Slim (on secondment from Texas-Cit) and Judge Freud, always analysing people. There were others. 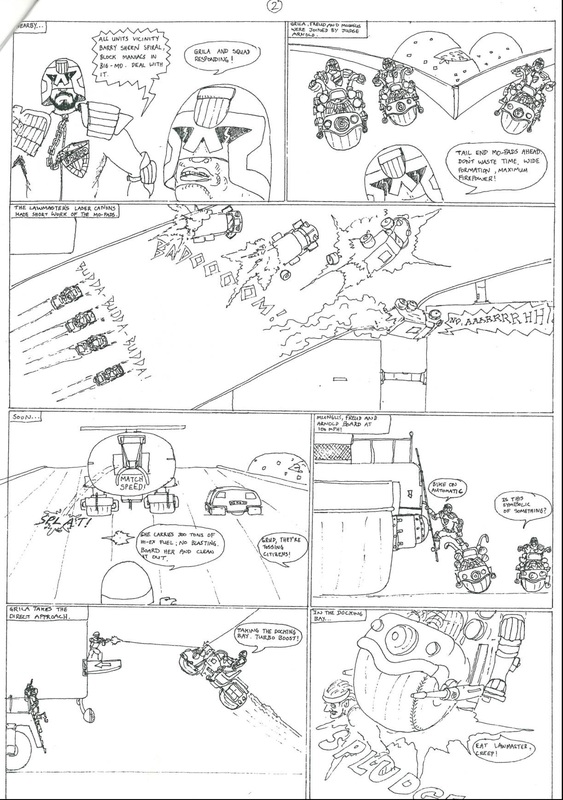 I drew this comic story to illustrate one session. I hope you enjoy Part One.